NoSQL databases including Couchbase are increasingly being selected as the backend technology for web and mobile apps. Document databases in particular are well suited for a large number of different use cases as an operational datastore. Dipti Borkar is the Director of Solutions Engineering at Couchbase. Dipti has deep technical experience in the database industry having worked at IBM as a software engineer and Development Manager for the DB2 server team and then at MarkLogic as a Senior Product Manager. 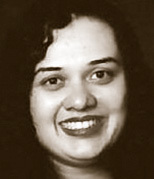 Dipti holds a Masters degree in Computer Science from the University of California, San Diego with a specialization in databases and holds an MBA from the Haas School of Business at University of California, Berkeley.